ZIMBABWE – THE wife to Prophetic Healing and Deliverance Ministries’ leader, Walter Magaya, is expected to appear in court to testify against four men who are standing accused of smuggling and evading paying duty for a car which was imported for her. Although it is not clear on the date when she would appear in court, Tendayi Magaya is expected to give evidence as a State witness.State counsel, Liberty Gono, yesterday told the Harare magistrate Noel Mupeiwa that Tendayi Magaya would be called to testify against Upenyu Mashangwa, Cosmos Mushininga, Kudakwashe Mapfumo and Tinashe Gonde. The quartet was reportedly hired to import a Land Rover Discovery 2014 Model which was meant to be a present for Tendayi Magaya. Prosecutor Gono said this after Cosmos Mushininga’s lawyer, Dumisani Mtombeni, asked the State on why they were calling the investigating officer in the matter to testify instead of Tendayi Magaya. “It is still the State case and we can call a witness we want. She (Tendayi Magaya) will come when her time come. “She will come and testify,” said Prosecutor Gono in his response. A ZIMRA official, Simbarashe Chinyonga told the court during his cross-examination by lawyer Mtombeni that the PHD Ministries leader was the most important person to call to answer to some of the questions in this matter. He also told the court that Magaya told them during a meeting held at his offices that he (Magaya) was the one who was involved in the paying and purchasing of the car in question. “The importer of the car is Tendai Magaya. She is the principal importer who is liable to pay the duty. “Magaya, Mango and some security personnel from their church came for a meeting after the car had been seized. “The car was delivered by two men from PHD. Magaya supplied us with a South African registration book and the SAPCO. “The car had not been paid duty for and the money which was paid was for special exercise duty. 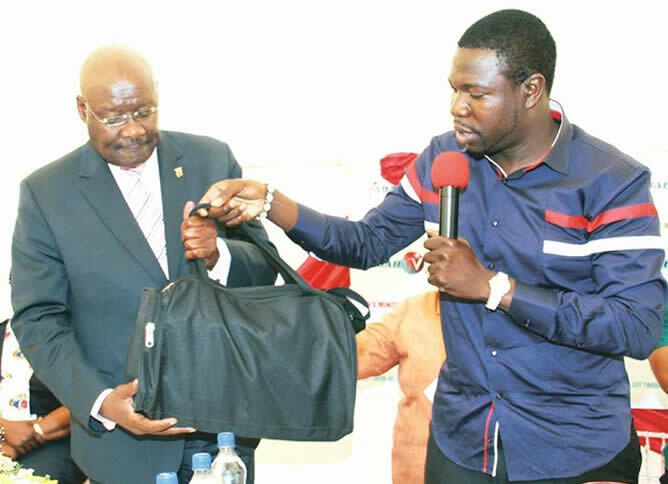 “Magaya said during the meeting that he was the one who was involved in the paying and purchasing of the car through his office. “We were then convinced that we were dealing with the right person. I think (Walter) Magaya is very important in this matter and he would answer to some question that I cannot answer,” he said. Chinyonga, who is now stationed at Kanyemba Border Post, told the court when being cross-examined by Upenyu Mashangwa’s lawyer, Tafadzwa Hungwe, they did not investigate on whether the car in question was smuggled into the country or not. “The car did not pay duty. We were not worried about how it crossed the border. Our main worry was to verify if the clearing processes were adhered to and if the car paid requisite duty. “We did not investigate on whether it was smuggled or not plus it was not about revenue only but about controls as well,” he said. The State alleges that Mashangwa engaged commodity dealer Mushininga and car dealer Matiyenga for the importation of the car. It is also said that Mango gave them another $36 000 for duty and registration of the car. Further allegations are that Mashangwa connived with Mapfumo and Gonde who then manufactured fake documents for the vehicle. They reportedly misrepresented that the vehicle was a 2004 model bought at an auction and that it had been previously registered by the CMED. Accusations are that Mapfumo and Gonde then undervalued the vehicle at $18 000 and Mashangwa was made to pay five percent of the amount, which is $900.